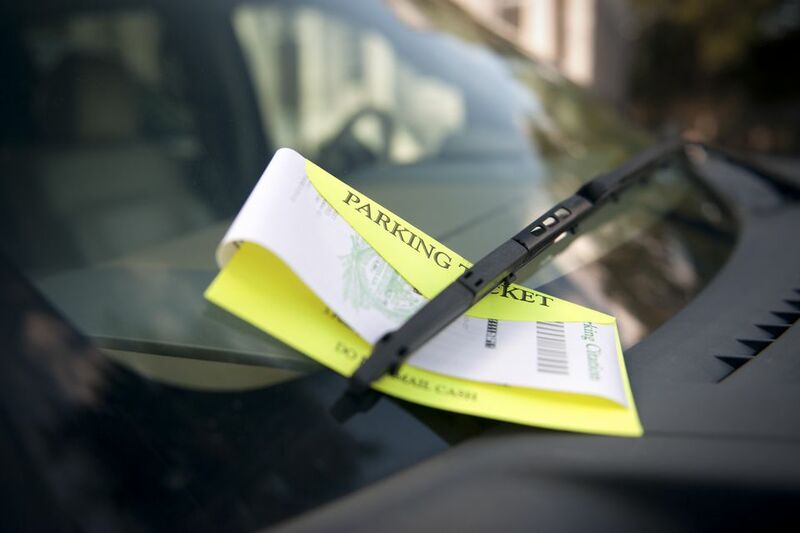 The city of Minneapolis issues around 300,000 parking tickets each year, but these minor fees are pretty easy to get rid of if you think you've been given an unfair ticket, if you parked at a broken Minneapolis meter, or you just want to pay it off quickly. While the best thing to do is to avoid getting a parking ticket altogether, you should immediately pay your fine to the City of Minneapolis so that no late fees are applied to the cost. If you plan on contesting your unfair ticket or reporting a broken meter, you should also do this as soon as possible as penalties will begin accruing after 21 calendar days. When parking in Minneapolis, always pay attention to posted parking signs along the curb and be sure to set alarms if you're using an hourly meter so that you don't get a ticket for being a few minutes late. The main areas parking enforcement officers patrol are Downtown Minneapolis, the Warehouse District, Uptown Minneapolis, around the Walker Art Center, next to the chain of lakes, and on the University of Minnesota campus. Additionally, tickets from Snow Emergencies account for a large number of parking citations issued in the winter. Quieter neighborhoods further from business districts get the least attention from parking enforcement officers. Wherever you park, but especially if you plan to park in one of the areas parking enforcement officers target, be mindful of parking legally, and watch the clock to make sure you get back to your car in time. At meter parking in busy areas of Minneapolis, tickets are regularly issued as soon as the time on the meter expires. If you were illegally parked you should pay the ticket within 21 days to avoid late charges, and you can pay by mail, by phone, in person at a courthouse, or online. Although you can contest the ticket, keep in mind that being a minute late to the meter or not being aware of parking restrictions are not acceptable excuses that will magically get you out of a ticket. If you can't afford to pay the fine, you can see a hearing officer to arrange a payment plan. You must do this before the fine is due at any of the four Hennepin County courthouses, including the downtown Minneapolis courthouse. The downtown Minneapolis courthouse sees cases on a walk-in basis and by appointment, the other three courthouses see cases by appointment only. If you think the ticket in question was given unfairly or the parking meter was broken, you can contest the ticket by arranging an appointment with a hearing officer to discuss your case. Errors happen, so if you truly feel that you were wrong, contesting a ticket could save you some money—if not cost you time. You'll need to see a hearing officer to discuss the case. Hearing officers are available at the downtown Minneapolis courthouse, and at the three suburban Hennepin County courthouses in Brooklyn Center, Edina, and Minnetonka. The downtown Minneapolis courthouse sees cases on a walk-in basis and by appointment, the other three courthouses see cases by appointment only. Take the parking ticket, a photo ID, and any documentation you may have to support your case as the hearing officer has the power to reduce the fine or cancel the citation if he or she agrees with you. If you park at a meter that you believe is working and still get a parking ticket—for example, the time on the meter might run out faster than it should—you can have the ticket canceled. Report the meter as broken, and if the meter does need to be fixed, your ticket will be canceled. You can call the Parking Violations Bureau to check if the meter was broken, and if it is, have your ticket canceled. Don't park at a meter that you think is broken, or is marked as broken as you can still get a ticket. The City of Minneapolis asks that you call to report broken parking meters.